Skiing and snowboarding is obviously what being here in Tignes is all about! 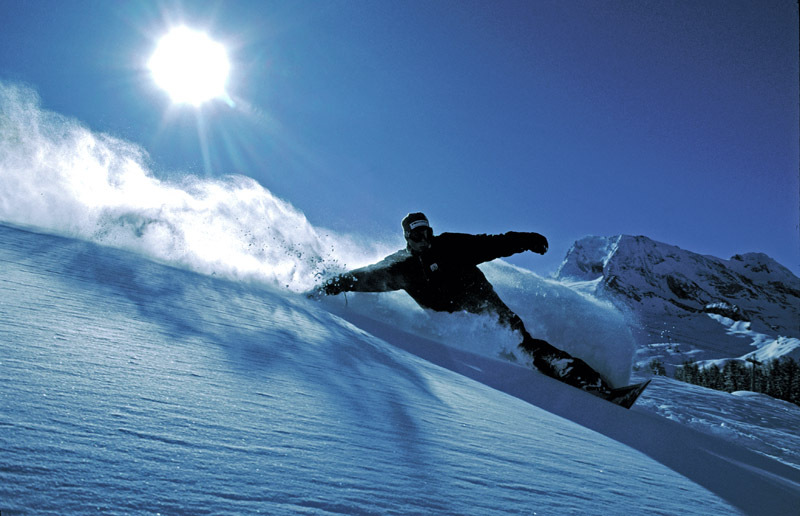 The ‘Espace Killy’ boasts one of the finest ski and snowboard areas in France and the world. Boasting more than 300 Km of marked ski trails, nearly 100 efficient modern ski lifts, including two funicular railways, three snow parks and endless, lift accessible off-piste skiing, the area has something for everyone. The vertical range is from 1560 metres in Les Brévières to 3500 metres at the top of the Grande Motte cable car which remains open for most of the year to service the summer skiing and snowboarding area. Les Brévières in Tignes is served by a six-man high-speed bubble ski lift which whisks you up to 2100 metres and then on to the liaisons with Tignes and Val d’Isère. Don’t, however, instantly dash off to the rest of the Espace Killy, as Brévières boasts some of the finest skiing and snowboarding of the whole area. Highlights include the never-ending ‘Sache’ black run which drops over 1400 vertical metres into the village, wide reds and blues for the intermediates, tree runs for bad weather and some truly fearsome 50 degree couloirs and un-patrolled wilderness areas in the ‘Vallon de la Sache’. A skiing guide or a very reckless attitude is a necessity to tackle some of these runs!Beginners are not left out with a free drag lift and nursery ski slope in the village. Situated on the border with Italy at the end of a long valley system means that we enjoy exceptional snowfall and the altitude (90% of the ski runs are above 2000 meters) ensures the snow stays till the end of the season. If we do hit a bad year, the 900+ snow makers around the ski resorts do their job, which also guarantees the lower ski runs with snow cover during the early season. Click the image to open the full resolution Espace Killy piste map. Tignes is one of the early birthplaces of snowboarding in France, you will probably see more snowboarders per head here than at any other ski or snowboard destination. 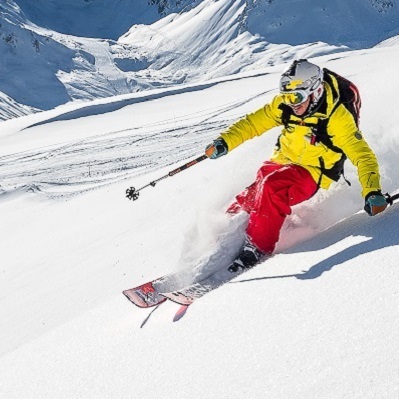 In recent years, the new generation of freeride and freestyle skiers have found a natural home in Tignes and former World Freeride Champion Guerlain Chicherit lives here. Three enormous snow parks with some very bum-clenchingly large hits, a huge half-pipe with its own drag lift and some lovely natural terrain keeps the Freestylers happy whilst the extensive and accessible off-piste itineraries and deep snow cover will amuse freeriders looking for new challenges and experiences. Most of our Tignes hotel staff are keen snowboarders or freeride skiers and will be happy to go out riding with clients – if you can keep up! For more information on the Tignes skiing and snowboarding area, look at the official tignes site – www.tignes.net. Lift access to St. Foy and Les Arcs are a ten minute drive from Les Brévières ski resort, Whilst La Rosiere and La Plagne are about 30 minutes away. All these skiing and snowboarding resorts offer a free or reduced days skiing upon presentation of your Espace Killy pass which makes Les Brévières ski resort in Tignes an ideal location for a multi-resort holiday. Whilst all the ski resorts are close to each other, they each offer something a little different from the wild and steep off-piste skiing in St. Foy to gentle, sunny family orientated ski and snowboard runs in La Rosiere.